Fresh from the Oven: Rant of a pastry student in distress. Rant of a pastry student in distress. Today is the last day of my exam but I couldn't help feeling a little apprehensive. So far, it just seems that whatever things that can go wrong have gone wrong. While products are edible, they are far from being aesthetic. Some of stupid mistakes were made more frustrating considered the number of practice we have in class. Perhaps it is harder to work with a smaller batch as we are required to half the recipe during the exam. It looked silly to whip 2-3 eggwhites in the stand mixer with the tip of the whisk barely touches the eggwhite. This happened 20 minutes before the end of first day exam as the kitchenaid mixer was occupied by my partner's eggwhite. Seeing the rate at which it was whipping, I knew there would not be enough time for mine. One needs to be unorthodox when the unexpected occurs. However, have I predicted that there is an unlikely chance for me to whip eggwhites till peak manually, I would have practiced it at home! That would perhaps give me a little more elbow strength and stamina to help the situation. Anyway, I was relieved to turn in my piped meringues on time. Today is supposed to be a breeze since we have completed most of the preparation by the second day of exam. I am now hoping that my previously frozen croissant dough will proof and rise well. Unproof croissant was never my concern until yesterday when one of my classmates was almost brought to tears by her croissants that remained stubbornly unproof. That made me worried with my croissant. What if mine do not rise like the ones in the pictures? 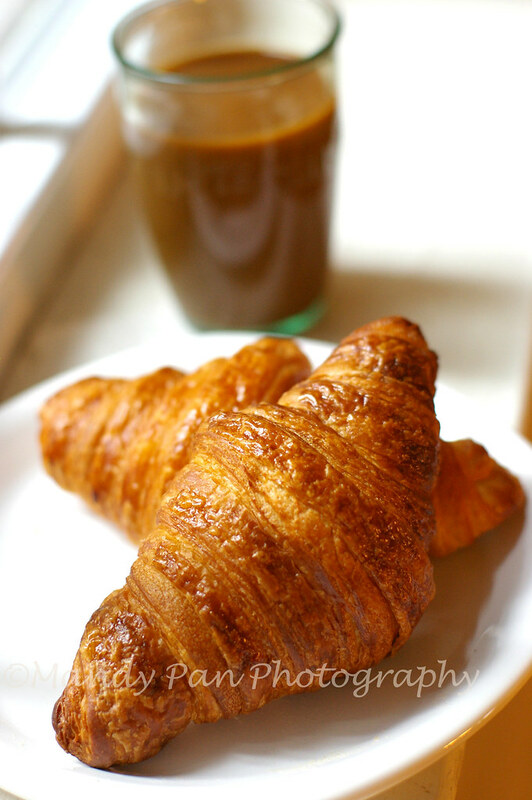 Will I be able to stand the sight of croissant or eat another one for breakfast like I used to do in the last fortnight? oh my good it is looks so delicious l love it..
Everything will be alright, your wonderful student and will do very well on your exams!!! Breathe!!! Good luck! Exams are always scary, no matter how confident you can be, going into them. I hope you do very well! Good luck1! You'll do great! I just came across your blog for the first time and I love it. Best of luck to you. Gambatte... we become students for a reason, all will be well, my dear friend. crossing my fingers for you! though you don't even need luck with this crazy talent you have! hoping to hear great news from you soon! hehe, Grace and I were talking about you yesterday. You are becoming so professional! Good luck with your exam. We look forward to your back. these croissants looks delicious :-)! good luck for your exam! Good Luck to you and may all things go right! Hope you did well. 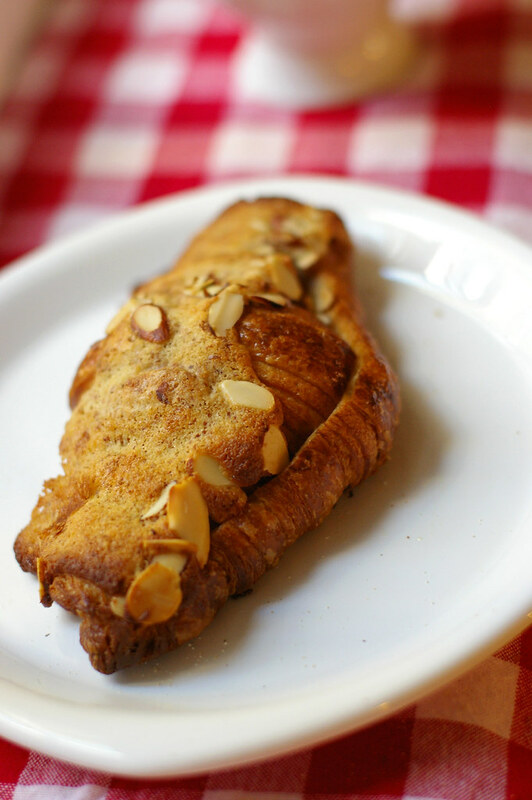 The pastries look so good, especially the almond one.